When you first go off to college, you will find that there is no shortage of opportunities to participate in social activities, sports, the arts, and recreation. It can be overwhelming trying to figure out where you fit as a Cane but have no fear; you will find your place and meet amazing people. That being said, please be sure to take advantage of the many volunteering possibilities that the University of Miami offers. Volunteering truly changes a person. There is so much to gain from helping others and it speaks to your character as well. Giving back to the community is important! Let’s face it we all have had some form of help along the way in our journeys in life. So, why not give back your time, effort, money, or just your listening ears to those who need a little help. 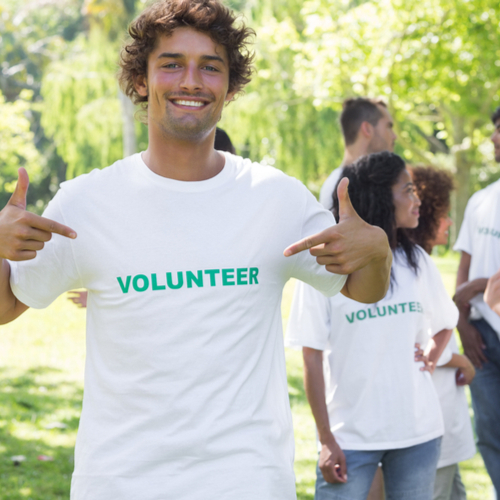 Plus, volunteering looks great when applying to graduate schools. UM posts ongoing volunteer opportunities Through the Butler Center for Service and Leadership, Students are able to find and keep track of volunteer opportunities both on and off campus. Go to OrgSync, log in, set up your profile and you’re ready to go! Days of Service are held at different times of the year and are a great way to work with the community and with UM alumni. These special days can get you involved in areas that appeal to you. Check the site often and follow the instructions to participate. University of Miami Alternative Breaks (UMAB) is truly an “experience that lasts a lifetime.” It’s a movement that aims to open your eyes to different communities and develop active citizens who will choose to integrate community service into their lifestyles. The trips also serve as great ways to meet and bond with peers and expand the network of Alternative Breakers. Participants return from their trips with a new perspective and understanding of our world that few experiences can provide. While UM offers many great options for volunteering, don’t forget to check out other areas in Miami that could use your help. Big Brothers Big Sisters, local YMCA’s, Meals on Wheels, Camillus House, area food pantries, or the American Cancer Foundation are some great options. No matter where you choose to share your time, you are sure to learn so much about yourself. Give back, share, and serve!